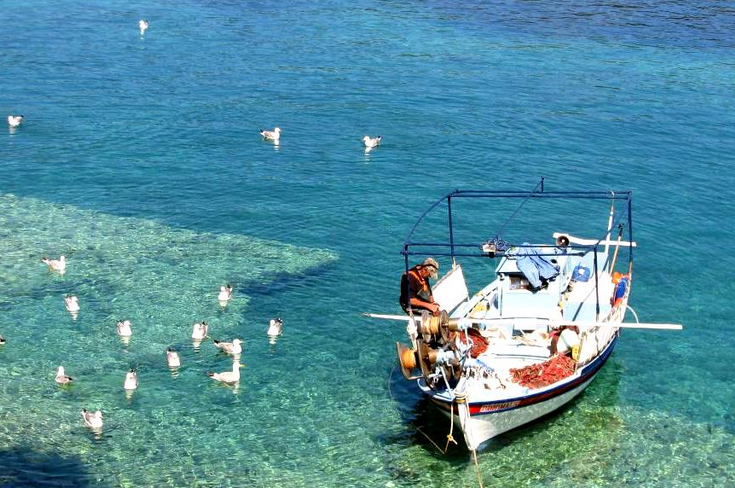 Scuba divers are attracted to the Greek islands every year by the teaming marine life, clear water, shipwrecks and caves. In order to protect the many underwater ancient treasures, until recently diving was limited to just a few dive sites. Fortunately, the restrictions have been lifted in the year 2006, and today there are new opportunities to explore exciting areas in the Greek islands that are opened up now for scuba diving. 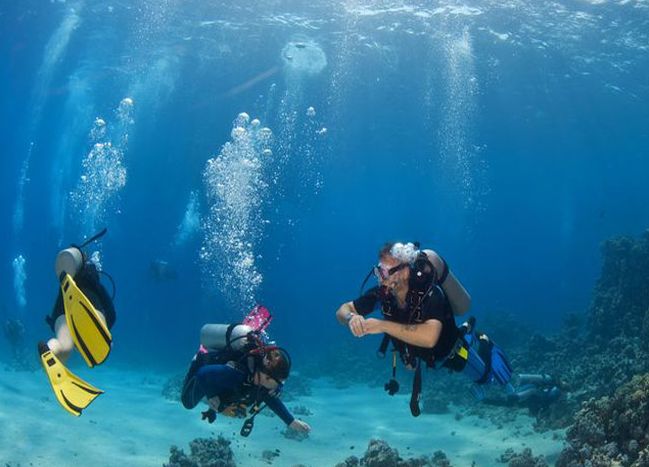 In response to the increasing demand, many Greek islands have opened scuba dive centers that provide yacht based diving tours and diving lessons. One of the popular pastimes for scuba divers in Greece is spear fishing. However, be aware of the fact you will need a license in order to spear fish legally in Greece. If you want to get a license you may apply to the island’s port authority. Usually you’ll be able to take the license in about one week. 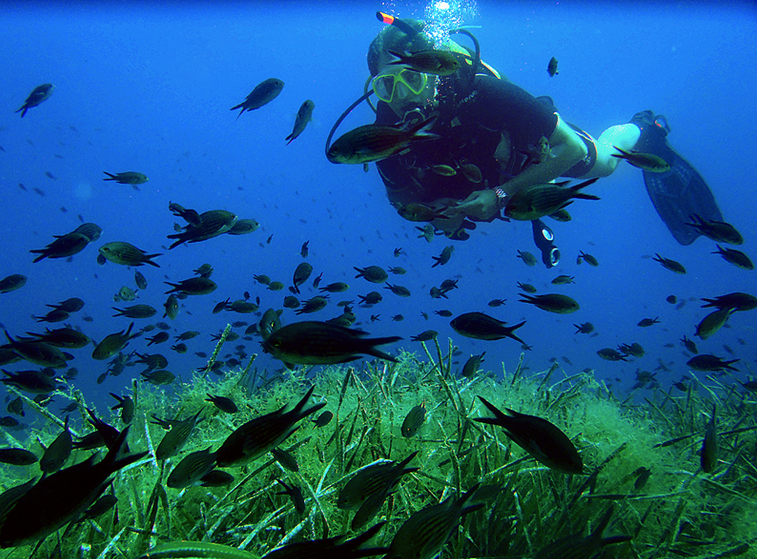 The north-eastern Greek Aegean seas offer many good opportunities for scuba diving. One the islands in this region is Thassos, with a wealth of notable dive sites around the coast. Among them are popular sides such as Seagull Island, Agios Ioannis Bay, and the interesting Volcano Tears with its exciting underwater lava formations. Thassos lies just off the Macedonian coast of Greek mainland and in the Aegean island group, this is the most northerly holiday island. In ancient times the place has been fabulously wealthy thanks to large deposits of marble and gold. Today the island is among the top Greek holiday islands and has much to offer the visitor. You’ll find here some very fine holiday resorts and some great beaches. As a scuba dive and beach holiday destination, one of the biggest advantages of Thassos is the easy access to the sandy beaches on its attractive coastline, thanks to the excellent road that rings the island. If you want to explore more than just its beaches, side roads lead inland to the extensive woodland and many charming hill villages. Forest fire damage is still evident in the south and marble quarries still mar some parts of Thassos, but green pine trees carpet most of the island. 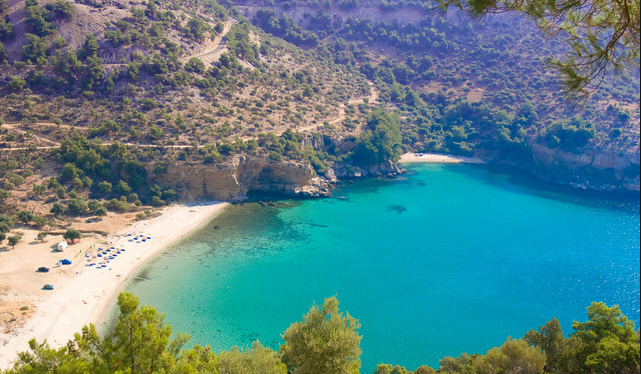 For this reason Thassos is being called the “Emerald Isle”. Thassos can be visited year round, at any time. Summer in Thassos offers many fun sea activities, magnificent beaches and endless sunshine. Autumn, winter and spring also offer great opportunities as well. However, for scuba diver, summer is the preferred time to visit Thassos, the most remarkable islands in Greece’s Aegean Sea. 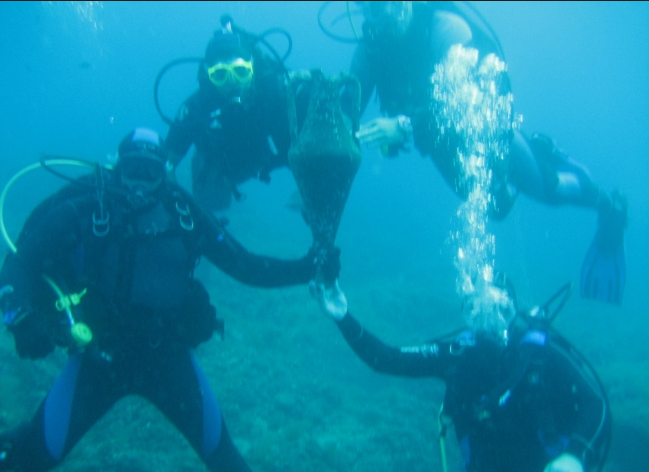 Since it is considered an archeological site, diving was forbidden in Thassos until February 2006. Fortunately, now you can enjoy your favorite pastime in full freedom on this beautiful island. The ancient past on Thassos has left many priceless treasures. You can find here some of the finest archeological sites in the world. The peninsula of Alyki, and around every street corner of Limenas, you’ll witness the preserved landmarks of the glorious past. Greece is the place where you can explore one of the most ancient cultures in the world. All these sites display the spirit of Greece as well as the individual character of Thassos. Among the best archaeological sites that you can visit on Thassos are the Acropolis, the Ancient Theatre, the Ancient Agora, the temples of the ancient city in Limenas, the remains of the walls and gates, and the ancient quarry and sanctuary in Alyki. Thassos’ vast ruins are a testament to the significant power and the thriving culture of the ancient Thassians, a part of the island’s unique identity among Greek islands. As a diver you can also hope to be the lucky explorer of underwater submerged ruins and treasures. Even today, many undiscovered ruins in Thassos continue to be found and restored. 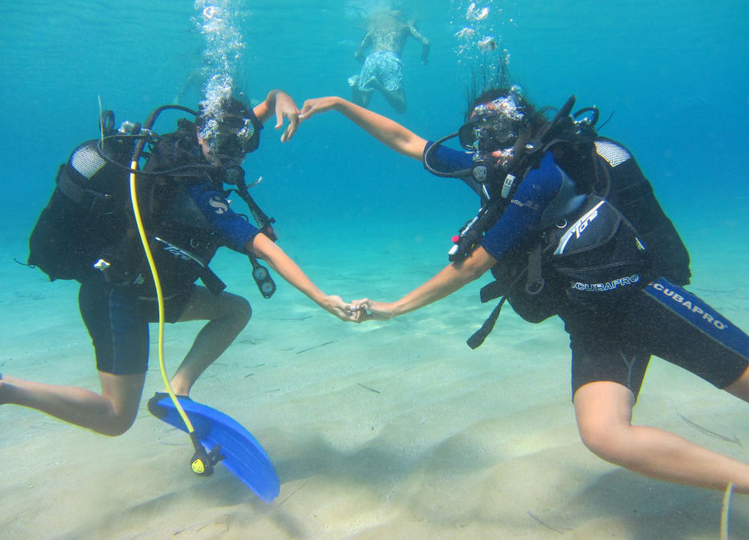 Scuba divers can enjoy in Thassos some of the clearest and cleanest waters in the Mediterranean and in the Aegean seas. With air tanks and diving masks it’s really exciting to discover the natural treasures hidden underwater and to explore these crystal clear waters. On Thassos there are many good diving schools with diving instructors approved internationally for private and small group sessions. The best locations for diving on Thassos are Potos, Skala Prinos, Limenas, and Pefkari. The diving centers rent equipment, offer courses for all levels, and organize diving tips to the most interesting sites. Among the popular diving sites in Thassos are the Pefkari Rock, the underwater rocks of San Antonio, and the Virgin Mary Island where you can explore the remains of an ancient wooden shipwreck. 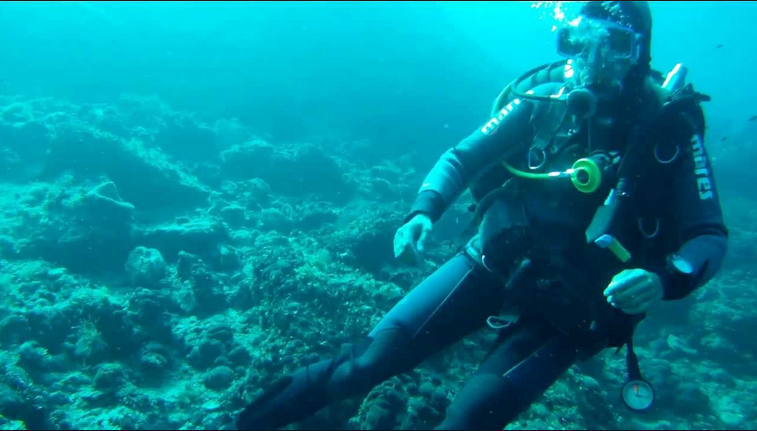 At Pefkari you can find the first certified Thassos scuba diving school. 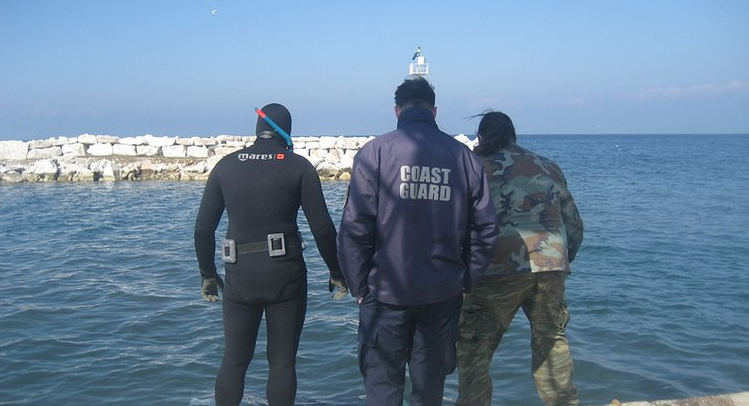 They offer a wide variety of professional and recreational diving courses. Their instructors come with an impressive professional experience. 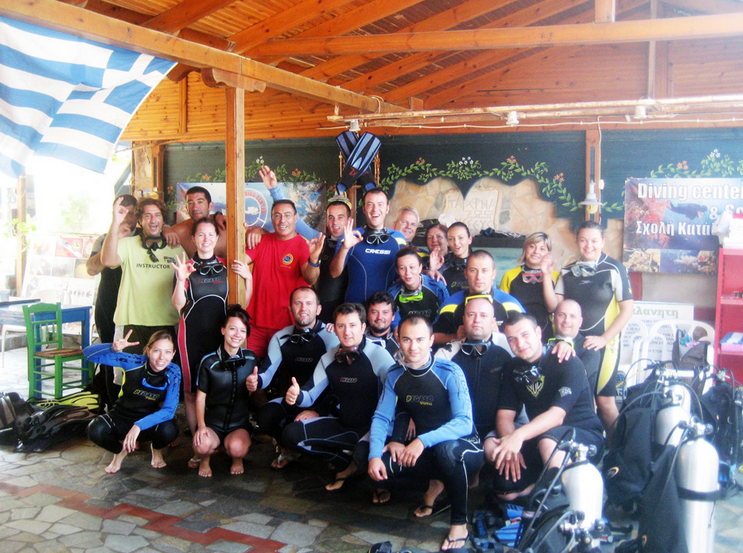 The scuba diving school at Pefkari is located on the beach, in a wonderful setting under the pine trees. After the dive you can grab a dink at their stylish bar. 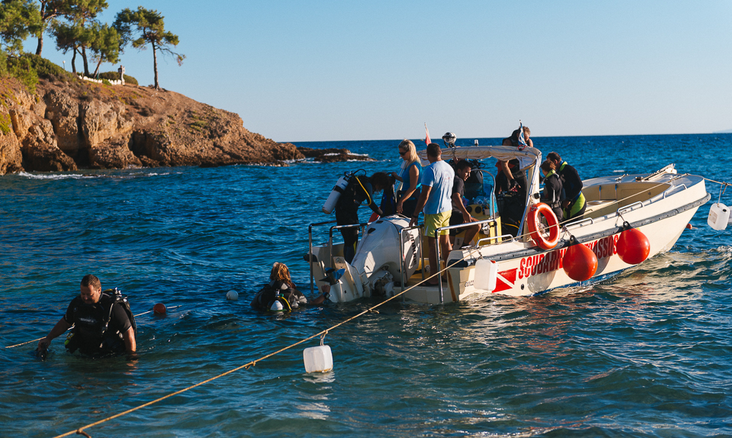 At Astris Popeye Diving Center you can also enjoy high quality diving education and service. The diving center is located on Psilli Ammos beach, at only 50 meters from the sea. Another diving center in Pefkari is the Vasiliadis Diving Club. The list of diving centers in Thassos goes on with many other great clubs and excellent locations. If you come to visit Thassos for diving you can also enjoy some other water sports available on the island. You are limited only by your imagination, ability and energy. In addition to traditional water sports such as jumping into the sea and swimming, you can also enjoy kayaking, body surfing, wind surfing, donut and banana riding, parasailing, water skiing, snorkeling, jet skiing, pedalos, sailing, speed and motor boats. Among the places on Thassos where you can find organized water sports are Psili Ammos Beach, Potos Beach, and Pefkari Beach in the south, and Skala Rachoni Beach, Pachis Beach, and Golden Beach in the north. Taking a boat trip can also be an exciting experience. There are many options you can choose from, varying by their travel distances, starting locations, and the locations they visit. For instance, you can try the Beautiful Beaches and Bays Trip, or the Around the Island Trip. Arriving by boat at a secluded beach can be exciting. You can wade or row ashore, dive and swim, or simply stay on board and to lie on deck while taking in the beauty surrounding you. You may bear witness of seagulls coming down from the sky or to a group of dolphins gliding through the water alongside the boat. All these can be life-inspiring experiences on Thassos island. If you are on the island of Thassos during the summer you can also enjoy the summer festival. During the summer months, every year is organized a folk and cultural festival with concerts, cultural events, children’s theater, theatrical plays of tragedies and comedies, folk nights of dancing, music, songs, poetry, crafts and arts. Additionally, there are performances and staging of various traditional events and important local traditions.